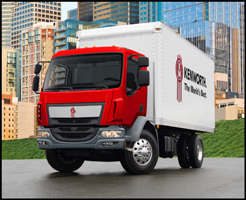 KIRKLAND, Wash., April 2, 2019 – Kenworth has expanded its option offerings for its medium duty cabover models. For the Kenworth K370 Class 7 cabover, new options are the Dana Spicer S23-172E 23K high entry axle, Reyco 23K rear suspension, Dana 1710 driveline series, 8K lift axle pusher, pusher tires and wheels, and upsized park and spring brakes. These options are appropriate for heavy freight delivery, dump truck, small concrete mixer, and crane, while also opening the door for other vocational uses, such as a larger concrete mixer or 43K dump. “These enhancements for the Kenworth K270 and K370 cabovers provide customers with more choices to expand the product line into a wider range of medium duty applications. 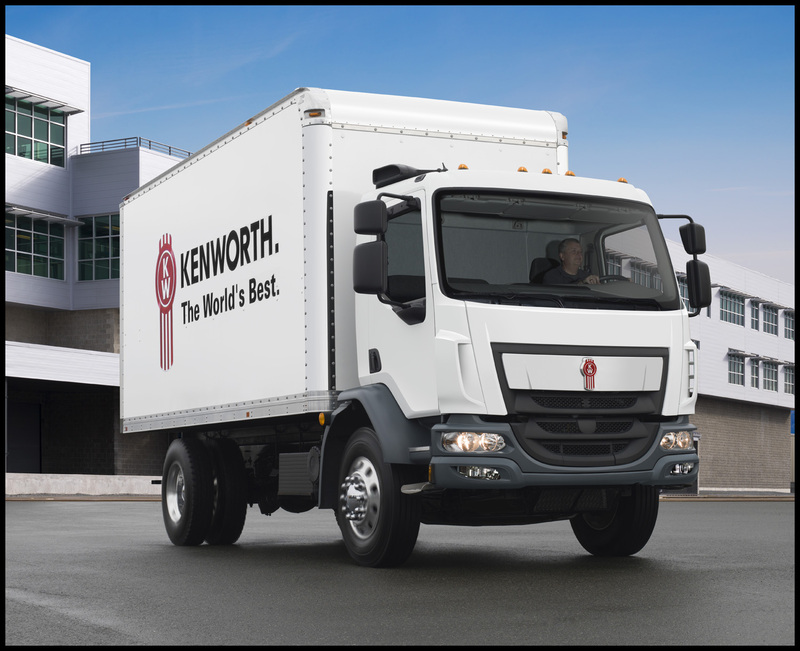 Both vehicles provide customers with excellent maneuverability, ease of service, durability, exceptional visibility, and styling,” said Kurt Swihart, Kenworth marketing director. 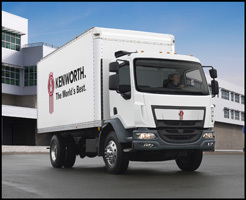 The Kenworth K270 and K370 are powered by the 6.7-liter PACCAR PX-7 engine, which is rated up to 260 hp and 660 lb-ft of torque, and delivers an exceptional power-to-weight ratio for the medium-duty market. Both models are standard with the 2100 HS Allison 5-speed automatic transmission. 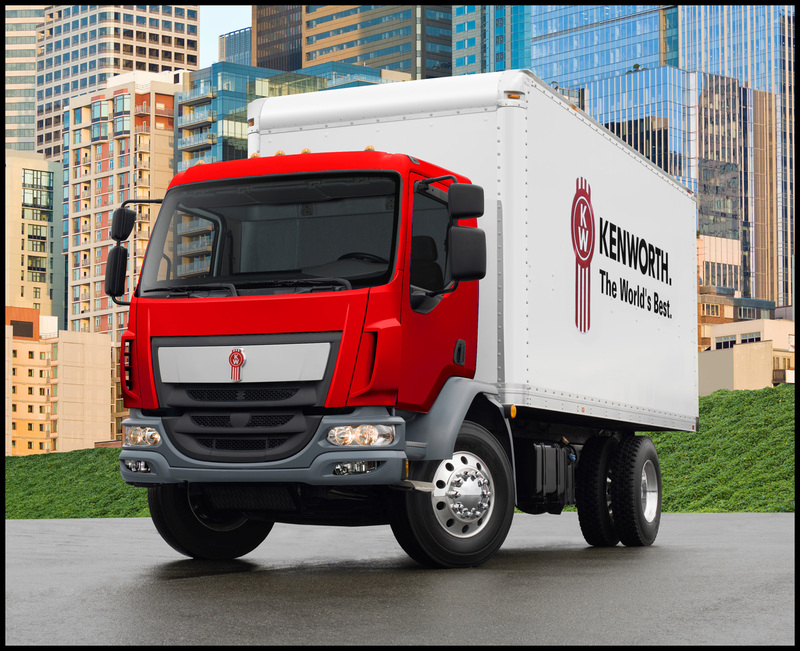 A key advantage of the Kenworth cabovers over medium duty conventional trucks is its 55-degree wheel cut for a tighter turning radius and greater maneuverability for operating in crowded urban environments. The cabovers also offer a large windshield for enhanced visibility, and room to carry a three-person crew with an air-suspended driver seat and two-person bench seat. With a bumper to back of cab (BBC) of only 63.4 inches, the Kenworth cabovers provide increased room for body installations when compared to medium duty conventional products. This enables the K270 and K370 to haul more payload with a shorter overall length. This is especially important as overall truck length is becoming more regulated in some major metropolitan cities.